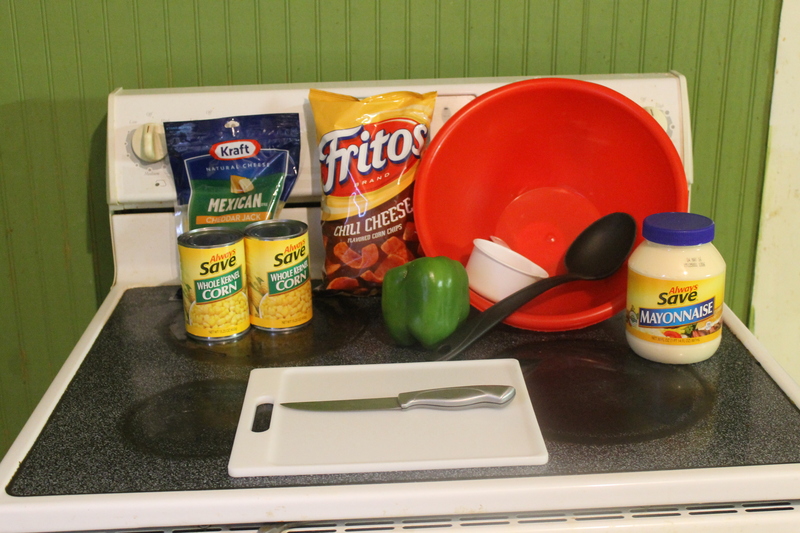 This recipe is an all time favorite of my entire family (except my baby brother-he doesn’t like corn). Anytime we have a pot luck, family gathering, or birthday party….this is always my go-to dish. It’s so easy and ridiculously good. My kids even ask for it at home, “Can you make some of the ‘corn stuff’ for supper?” My husband will eat it like it’s going out of style. My sister will go buy the ingredients so I can make her some while she visits. I try to make it as often as I can since my family of six likes it so much. It’s cheap and that’s always a plus! This may be one of the easiest recipes you can try! No cooking, no baking, no hours of prep time, no hours of baking or standing in the kitchen. Throw it together and throw it in the fridge. 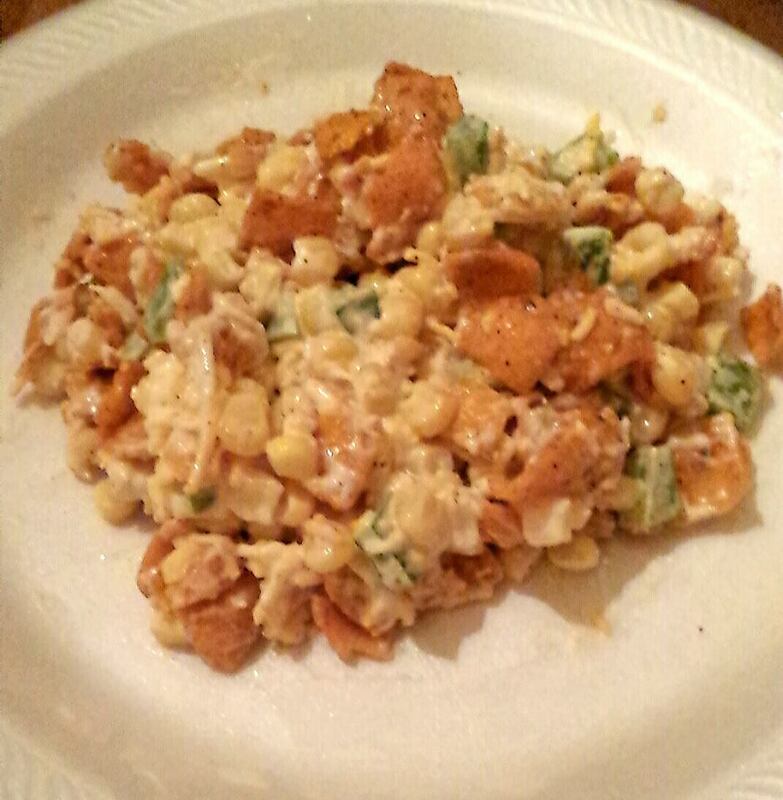 The hardest thing about this dish is cutting up the green pepper and opening the cans of corn. I have never used fresh corn (corn on the cob) but I am sure it would be just as tasty (if not more). Mix first five ingredients in a bowl and place the covered bowl in the fridge to chill. 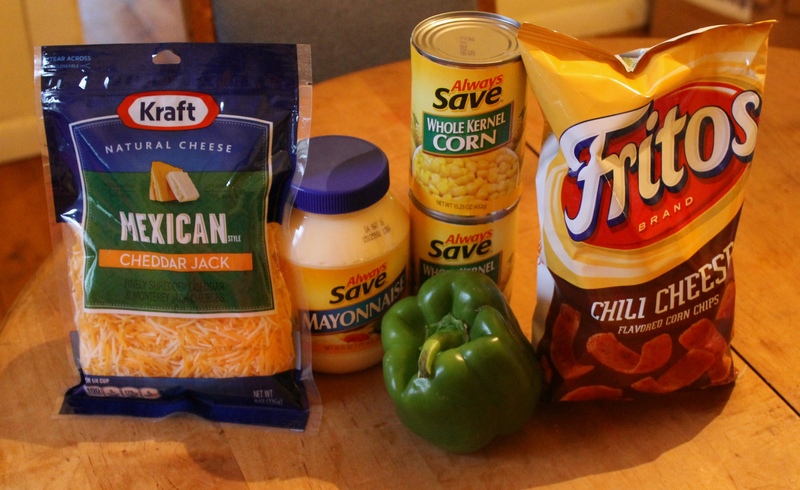 I have found it is easier to mix the cheese and mayonnaise first and add everything else after. 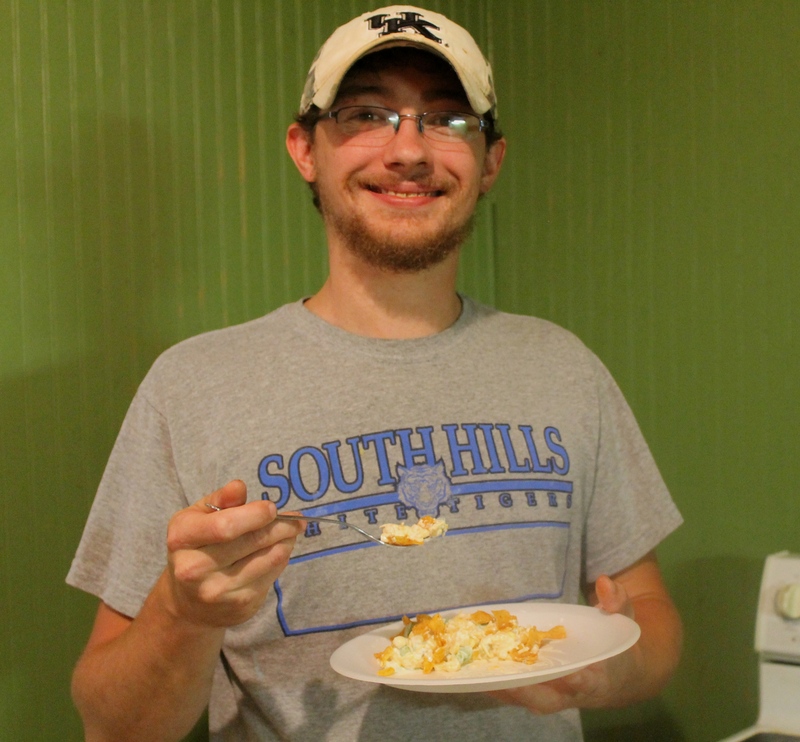 Right before serving the dish stir in the corn chips. TIP: Do not add the chips in too early or they will get soggy. 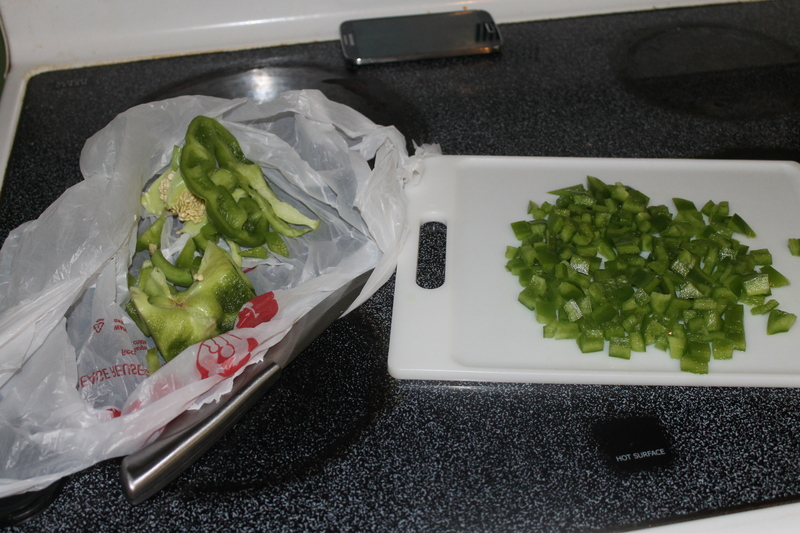 I always keep a bag close when cutting green peppers. Those little seeds can be aggravating and it makes cleanup a whole lot easier. For family functions I usually have to quadruple this recipe! Opening eight cans of corn can be tiring. Since mine broke maybe this momma should invest in an electric can opener ;). You should give this yummy and easy recipe a try. Maybe your family will love it as much as mine does!